There are a number of seminal texts that ought to be on every serious divers bookcase. These easy-to-read books provide in-depth accurate information - they are 'gold standard' diving reference books. A critical addition to this list has just been published. John Lamb's second edition of 'Oxygen Measurement for Divers'. Lamb has augmented his original book, with a big emphasis on closed circuit rebreathers. 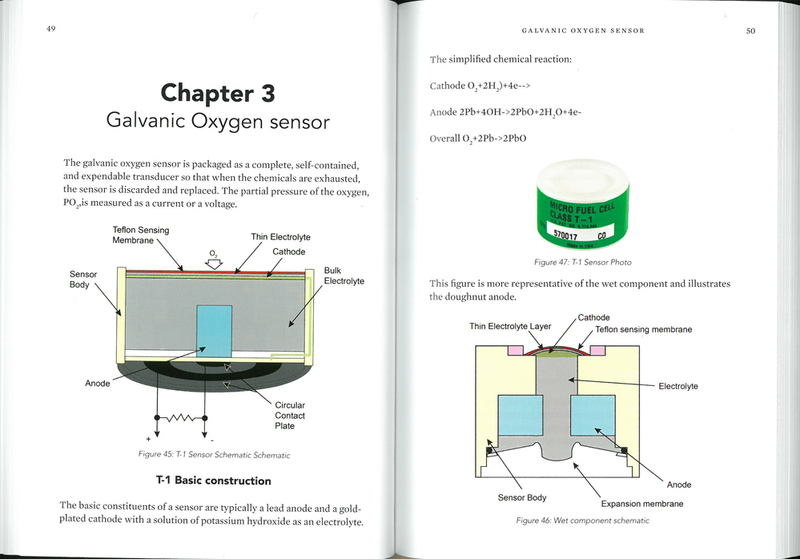 This book is a must read for any diver using any form of oxygen analyser, whether it is in a simple Oxygen Analyser or in a complex rebreather." When the first edition was published in 1999, CCR recreational diving was very new; hence the rebreather section was only four pages long. This updated edition is stuffed full of nuggets of significant information that every rebreather diver needs on oxygen sensors in rebreathers. It promises to become the "go to book" for all rebreather divers. 'Oxygen Measurement for Divers' is remarkably readable. It has been designed for divers to pick it up and dip into it. To check information. To look up answers. And it has achieved the happy balance of having a good technical aspect whilst remaining useful. The explanations are very clear and, even when describing complex principles, are structured in a very understandable way. What quietly comes across is the author's huge knowledge on the subject. John Lamb has over 40 years of practical experience in the field of oxygen measurement and monitoring, from medicine to technical diving applications. "When it comes to oxygen sensors there are lot of myths and misinformation available at the touch of a key", stated author John Lamb. "This book provides accurate information, direct to the divers, with the prime aim of increasing their personal knowledge and safety. It covers everything you ever wanted to know about oxygen sensors and oxygen, but didn't know who to ask." Whilst updating this book Lamb called upon other experts in this field - Kevin Gurr, Martin Parker, Paul Raymaekers, Dave Thompson - amongst others, and asked them contribute to this edition. "This is an invaluable resource and should be compulsory reading for any rebreather diver." 'Oxygen Measurement For Divers' can be purchased in two formats. As a paperback, direct from Vandagraph for £15.00. Or, as a Kindle book for £7.50. John Lamb's first edition, 'The Practice of Oxygen Measurement For Divers' is also available via Amazon.